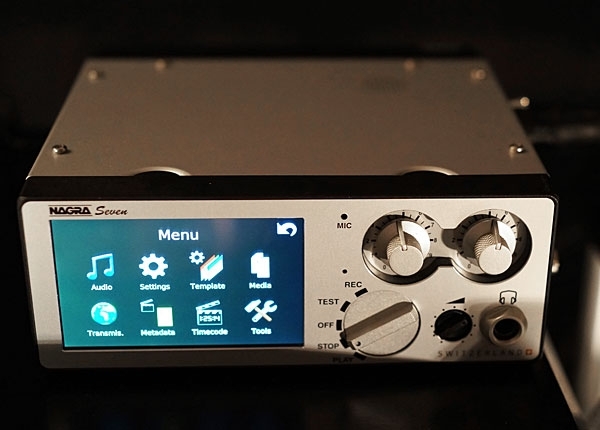 Pictured here is the tiny, almost pocket-sized digital recorder from NAGRA, the Seven 2 channel Digital Recorder, which lists for $4999 in the US. The Seven can record PCM files up to 192 kHz and has been designed as the successor to the Nagra LB, ARES-C, ARES-BB+ and Nagra V recorders. It has one digital input and two analog inputs equipped with traditional Nagra microphone preamplifiers which include phantom +48V microphones for condenser mics. 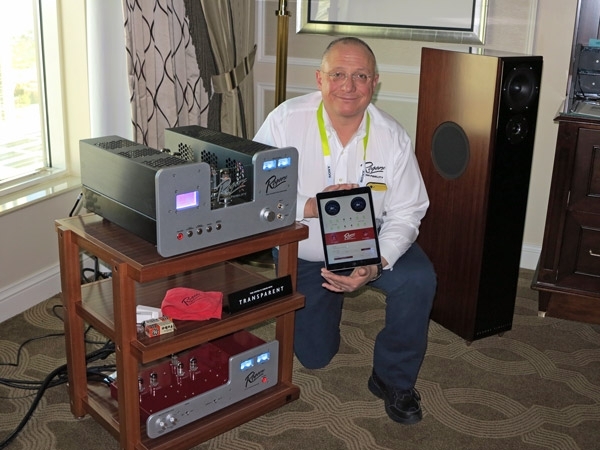 Questyle's Bruce Ball was on hand to demo the R or Reference version of their player that John Atkinson just reviewed for Stereophile. 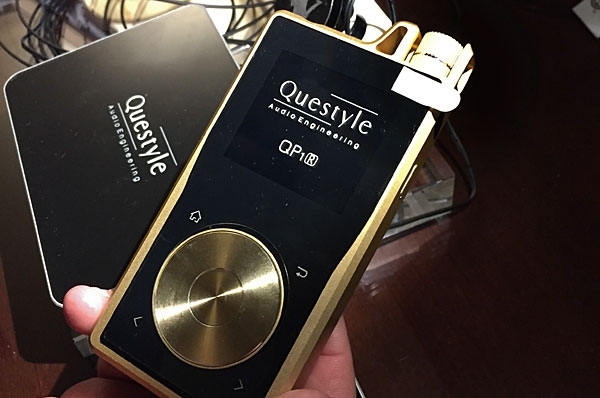 You can check the review for details, but here are the basics: the QP1R is available now for $899 and essentially offers more internal memory and higher quality components than the regular QP1 ($599). Check out the photo below of all the parts inside the new player. Gorgeous! Though there was scant information, here's a photo of the planned new network player from Esoteric, protected by a plastic box. I was told to ignore the back panel so don't know what connectivity is planned, and in another room, a rep suggested that this prototype is actually one of their products with a one-off front panel attached. Supposed to be here this summer when all gets sorted out. I first encountered Levinson's new No.526 preamplifier ($15,000) when I visited the Mark Levinson Engineering Facility on September 30, 2015. The company embargoed any mention of the product until CES, so I went over to the Harman exhibit at the Hard Rock Café to take photos and get information. 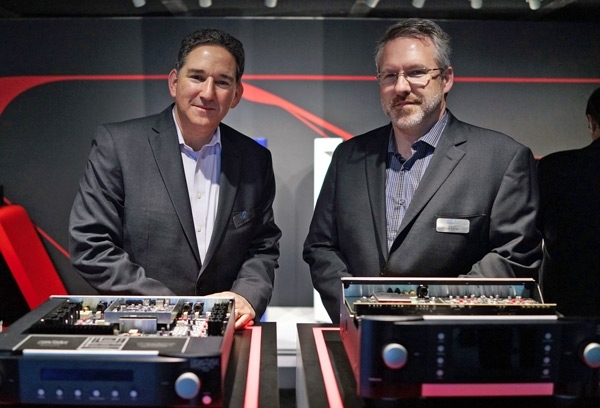 I was greeted by Levinson's Director of Engineering, Todd Eichenbaum (left) and Jim Garrett, Director of Product Development (right). They walked me through the design of the No.526. 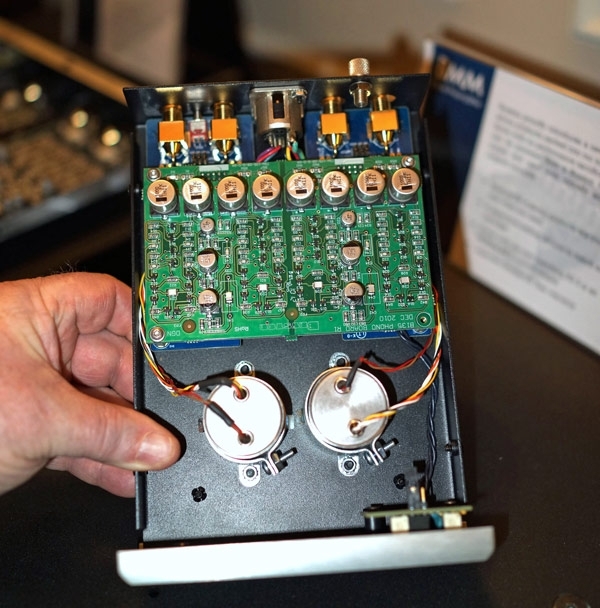 Jim presented the inner circuitry as a layer cake, with identical digital control board and DAC digital boards to those in the No.585 Integrated amplifier that I had reviewed in December 2015. 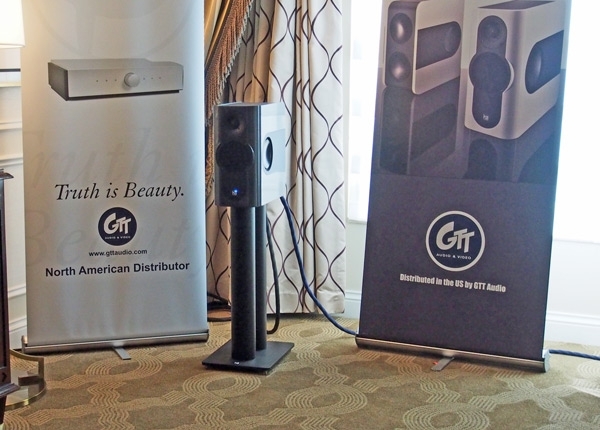 GTT's Paul Vataj was demonstrating the Kii Audio Model Three speakers ($13,900/pair), designed by class-D expert Bruno Putzeys. 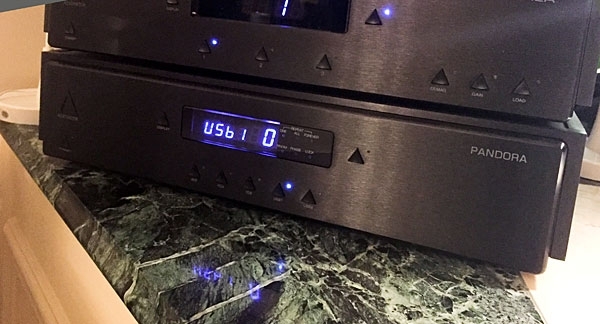 This product is amplifier and DAC intensive. 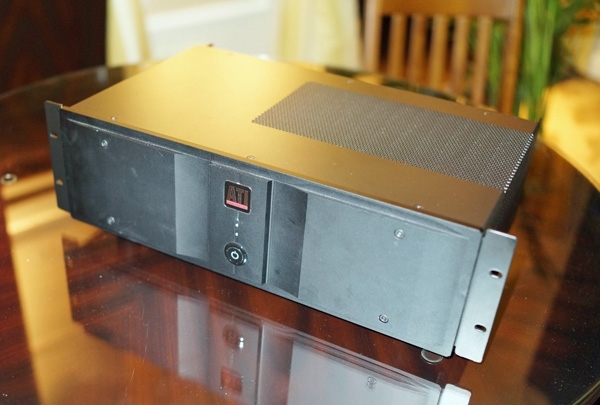 Its small cabinetthe size of a 2-way monitoris stuffed with 6 drivers (1 tweeter, 1 midrange unit, and 4 woofers, two on the front, two on the back), 6 DACs, and 6 channels of NCore amplification. GTT Audio has taken over the US distribution of Bruno Putzey's Mola Mola line and was showing the new, completely optioned Makua linestage. 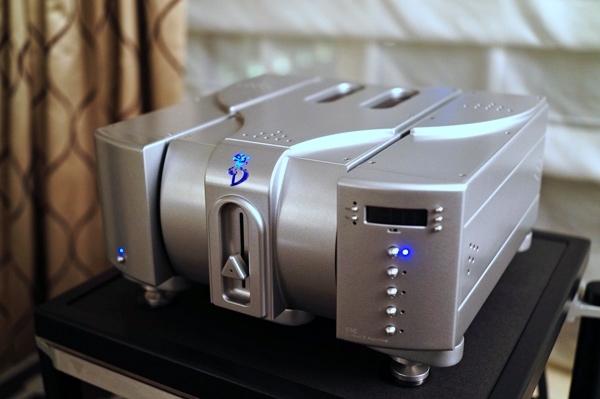 Checking all the boxes when ordering this $11,740 components adds a $2900 phono section, a $6600 DAC, or a $1890 DAC. The Makua can be controlled by the MolaMola App, shown here running on a Samsung tablet. 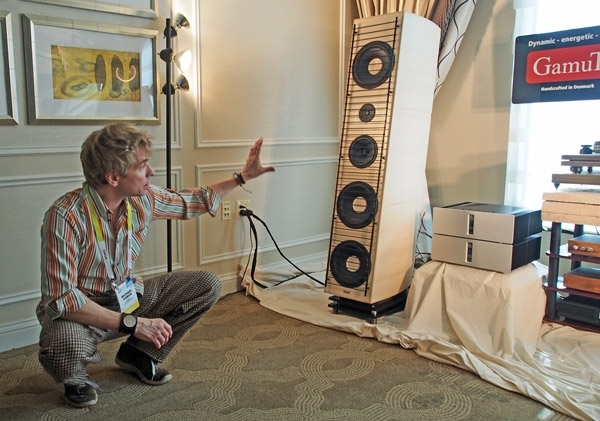 The 2016 CES was the North American Debut of the BSC's L5 Reference multi-chassis remote controlled class A line stage ($15,900). Bryston had sent me emails announcing a new amplifier series but gave little detail. Arriving at the exhibit in the Venetian Towers, I was greeted by ever-upbeat James Tanner, Bryston's Director of Marketing. 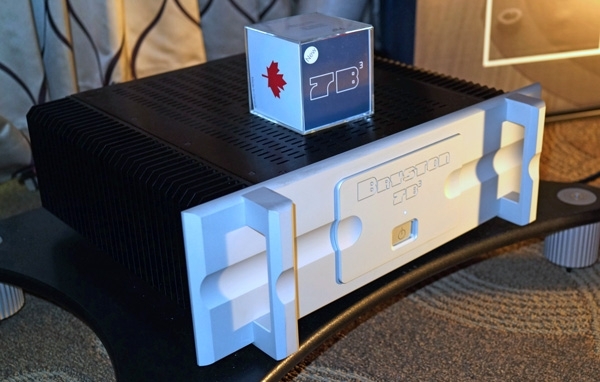 He pointed to the new Bryston 7B3 monoblock amplifier ($11,000/pair), and explained that the "cubed" name arose as naturally following the previous Bryston amplifier SST2 series. 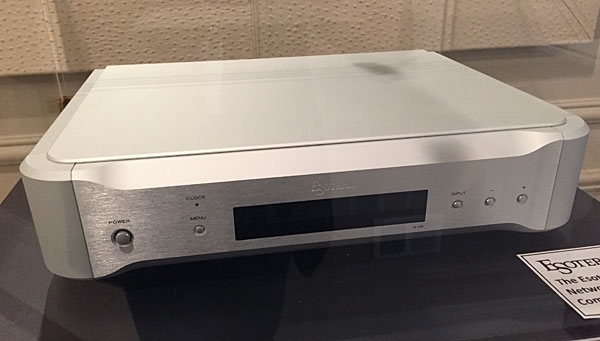 Bryston also showed, for the first time, value-oriented phono stages for moving-coil and moving-magnet phono cartridges, as well as a power supply for these two units. 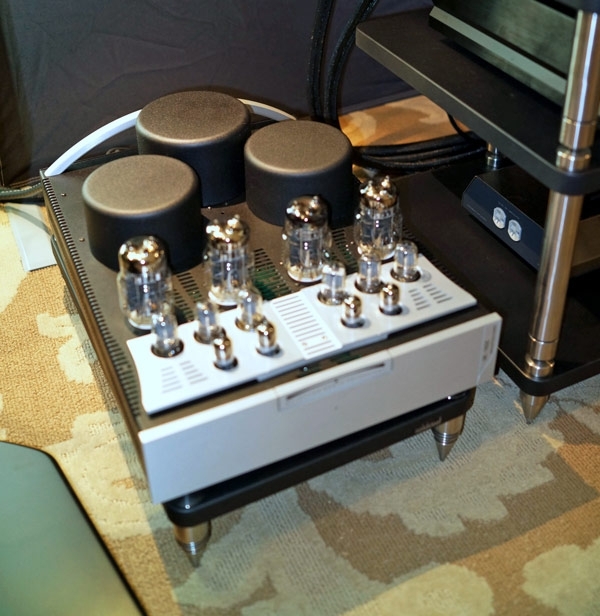 MoFi Distribution now distributes the Balanced Audio Technology product line, and were demonstrating the new BAT VK-76SE stereo tubed amplifier. Output is specified as 75Wpc into 8 ohms and 150Wpc into 4 ohms. GamuT designer Benno Baun Meldgaard, whose 41 years give the lie to those who suggest that the High End is populated solely by old fart engineers, joined Audio Skies distributor Michael Vamos (left in photo) for the press launch of GamuT's new "no-compromise" loudspeaker, the Zodiac ($139,000/pair). Featuring a cabinet composed of 27 layers of wood of different thicknesses, a new tweeter and companion drivers, and phase alignment between the crucial frequencies of 200 Hz15 kHz, the Zodiac comes with a massive spiked stand adjustable according to listening distance. It is designed to have the agility and speed of a stand-mount. Only 12 pairs will be built a year, which to my way of thinking makes the point-to-point wired speaker an instant collector's item, and each pair will be fine-tuned at the buyer's home by Meldgaard. 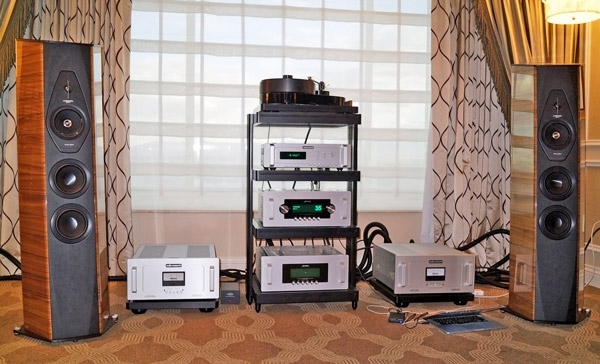 Roger Gibboni of Rogers High Fidelity unveiled the Rogers 34S-1 integrated amplifier ($19,900, top on rack in photo). 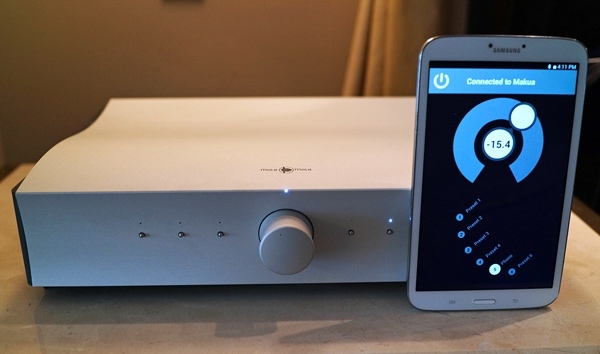 A dual-mono class-A amplifier with eight EL-34 power tubes, this baby, set to ship in March, has a unique, dedicated iOS platform (visible on Gibboni's iPad) which allows for complete functionality including bad tube indicators. Apple and Android smartphone operation via Bluetooth is included, and auto-bias circuitry and a lifetime warranty are other pluses. On a scale of 1 to 10, this product's cool factor is very, very high.